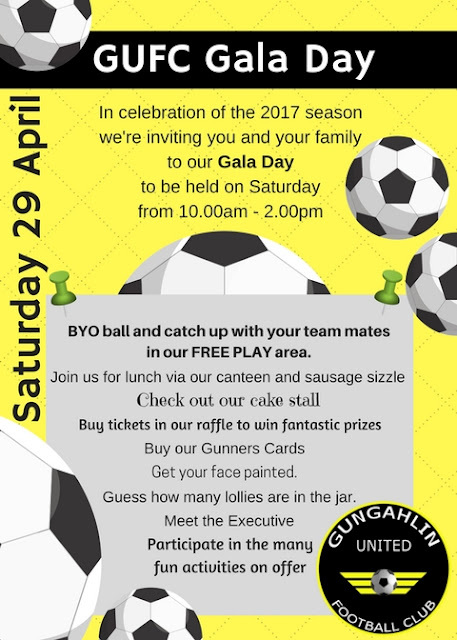 As you can see by the above poster I'm busy today helping launch the 2017 soccer season at the Gungahlin United Football Club Gala Day. The poster looks very fancy, doesn't it? Whether you need to create fancy posters, invitations, blog graphics. Facebook advertisements, Twitter headers, menus, flyers ... Canva has a template for you. To create the above poster I simply chose a blank poster size template to get me started. I then added a free Canva background in a "quilting" style and change the colour to yellow. Next I clicked on "Elements" and chose "lines" to create the black band across the top by resizing it to fit my purposes. I then clicked "text" and wrote GUFC Gala Day, changing the text colour to white. So that the black band stayed behind the white text I clicked on the black band and clicked "arrange" in the top right corner. I then clicked "back" so that it was layered first with the text on top. To create the "Saturday 29 April" text on its side it was just a matter of creating the text and then clicking on it so that it was surrounded by a dotted box, then turning it via the "rotate" option. I then clicked and dragged the text to where it needed it to be. For the text inside the grey box I headed back to "elements" and chose "shapes". I chose a square and then pulled and dragged the sides of the square to resize it, then changed its colour to grey. I added a series of individual text boxes to create the information text in different fonts. To add your own graphics such as the GUFC logo, simply choose "uploads" and "upload your own images". For the soccer balls I did a search for soccer ball on Canva in the "search 1,000,000 images" box. There are both free and paid images to choose from. These soccer balls were free. I then added one and sized it, then dragged it to where I wanted it to go. I used the "arrange" function to either bring it forward or send it into the background. I then clicked on that ball and with Ctrl C I copied it and with Ctrl V pasted another one onto the poster. Again I resized it and dragged it to where I wanted it to be using the "arrange" function again to determine what layer it should be at. When the poster is as you want it to be you can download it as a PNG file or PDF. The great thing is you can create branded templates for creating very quick social media posts for your business or organisation. This makes promoting your brand very quick and easy. Canva is a great free resource and once you get more advanced you can then revert to a paid option for access to more images, the ability to create PDF pages with "bleed" and the option to download PNG files with transparent backgrounds. What other free packages can you recommend? 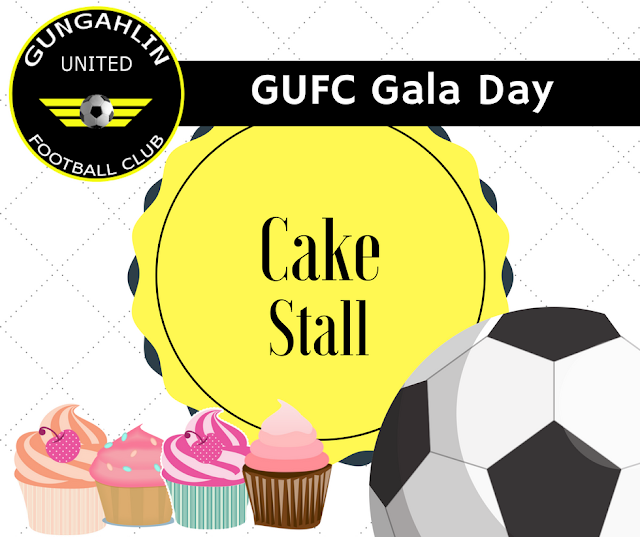 Anyone going to the GUFC Gala Day today? One who knows about creation of websites, animation, and video games cannot ignore the significance of graphic design. Those in need may visit Topimg.com to get varieties of stock images in different categories. I love Canva. Canva is an awesome tool. Canva is an amazing tool for the clueless, and can come in handy for professionals too. It makes designing uniformly easy for everyone, but it's by no means aimed only at amateurs. Check out some of the nice designs I curated here.